Many Americans celebrate Armed Forces Day annually. It is a day to pay tribute to men and women who serve the United States’ armed forces. Support all the men and women who have and still is serving in the military. 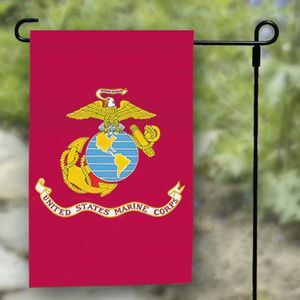 This one flag covers every branch of military and Flag-Works has it readily available. 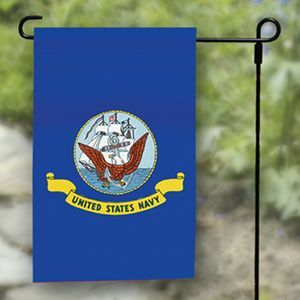 Armed Forces Flags comes in 2′ x 3′, 3′ x 5′ and 4′ x 6′ nylon printed flag with header and grommets. Flag-Works is a tax free state and orders on line unmounted flags ship for free. This entry was posted in Armed Forces Flag, Military Flags and tagged 2'x 3' Armed Forces Flag, 3' x 5' Armed Forces Flag, 4' x 6' Armed Forces Flag, Armed Forces, Armed Forces Flag, Flag-Works, Made in the USA, Military Flags, Nylon, Nylon Armed Forces Flag on May 3, 2016 by admin. Flag-Works has all Military Flags and Armed Forces Flag. Buy yours today to show your support for those that have served. 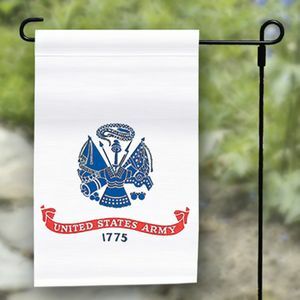 Military Flag sizes range from 4″x 6″ up to 4′ x 6′. Larger than that can be custom made. Armed Forces Flag range from 2’x 3′ thru 4′ x 6′. This entry was posted in Military Flags, Uncategorized and tagged Armed Forces, Made in the USA, Military Flags on May 12, 2015 by admin. 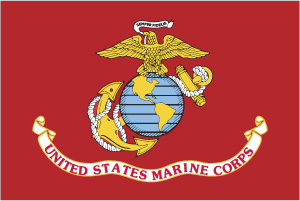 Marine Corp Birthday November 10th 239 Years!! During the American Revolution, the Continental Congress passes a resolution stating, “two Battalions of Marines be raised” for Infantry force capable of fighting for independence both at sea and on shore. Two battalions of Continental Marines were formed and now observed as the birth date November 10,1775 that took place in Philadelphia. 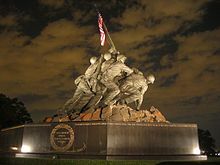 The United States Marine Corp has the world’s respect as an elite and reliable fighting unit where ever put into combat. Please join us in wishing the Corps a Happy Birthday!!!! This entry was posted in Military Flags and tagged Armed Forces, Marine, Marine Corp, Marine Corp Baseball Cap, Marine Corp Bumper Sticker, Marine Corp Chrome Automobile Emblem, Marine Corp Desk Flags, Marine Corp Flags, Marine Corp Lapel Pin, Marine Corp Patches, Marine Corps, Marine Corps stick flags, United States Marine Corp on November 7, 2014 by Courtney. This entry was posted in Flag-Works in General and tagged active duty military, Armed Forces, Military, Service members, U.S.Veterans, Verterans, veterans day on November 3, 2014 by Courtney. Today, we commemorate and give thanks for the sacrifice and service of the men and women in uniform of the U.S. Navy. The Navy continues to be a force for good, advancing and securing interests of this grateful nation and its allies around the world. Please join us and celebrate in wishing the Navy a Happy Birthday!!!! Flag-Works carries many different product of the United States Navy. This entry was posted in Military Flags and tagged Armed Forces, Baseball Caps, Chrome Emblems, Garden Flags, Military, Military Flags, Navy, Navy Flags, Nylon Military Flags, Patches, us navy on October 13, 2014 by Courtney. This entry was posted in Military Flags, Uncategorized and tagged Air Force, Armed Forces, Coast Guard Flags, Made in the USA, Marine Corps, Military Flags, Navy, POW/MIA flag on September 23, 2014 by Courtney. Our country endures because in every generation, courageous Americans answer the call to serve in our Armed Forces. They represent the very best of the human spirit, stand tall for the values and freedoms we cherish, and uphold peace and security at home and around the globe. Today, we pay tribute to the service members who have not returned from the battlefield, we stand beside their families, and we honor those who are held captive as prisoners of war. We will never forget their sacrifice, nor will we ever abandon our responsibility to do everything in our power to bring them home. We raise this flag as a solemn reminder of our obligation to always remember the sacrifices made to defend our Nation. Flag-Works has sold these POW MIA flags to people around the world-so when you order one of our POW MIA flags you can be sure it is the real deal. Authentic US military POW/MIA flags with the POW/MIA logo are dyed in brilliant colors onto a 100% nylon background. US Military POW/MIA single sided flags read correct on one side and have a mirror image on the reverse. Double-sided POW/MIA military flags read correct on both sides. US Military POW/MIA flags are finished with heading a grommets for displaying your US military flag outdoors. NEW – Polyester Now available in single and double-sided 2×3′ 3×5′ 4×6′ and 5×8′. Our heavy-duty woven polyester POW MIA flags are recommended in high wind areas. 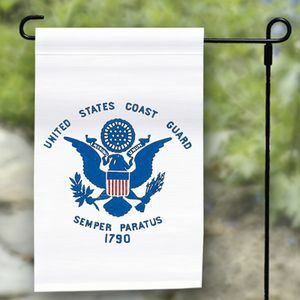 This tough polyester flag fabric will withstand rougher weather than the average nylon flag, however flag is heavier so it takes more wind to fly the flag. The flag is made of 100% spun polyester, the flags 2×2 construction combines durability, strength and fly ability with a rich feel and look. Show your military pride today, buy a POW MIA flag today. or buy a POW MIA flag for a loved one. Made in the USA. This entry was posted in Military Flags, Uncategorized and tagged Armed Forces, Flag-Works, Made in the USA, Military Flags, POW, Prisoners of War on September 17, 2014 by Courtney.